The essential introduction to the understanding of the structure of inorganic solids and materials. This revised and updated 2nd Edition looks at new developments and research results within Structural Inorganic Chemistry in a number of ways, special attention is paid to crystalline solids, elucidation and description of the spatial order of atoms within a chemical compound. 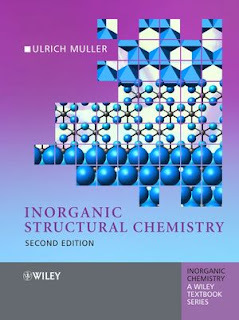 Structural principles of inorganic molecules and solids are described through traditional concepts, modern bond-theoretical theories, as well as taking symmetry as a leading principle.